There is scope for considerable confusion with references to 1 Esdras, as that name has been used to refer to three distinctly different documents. 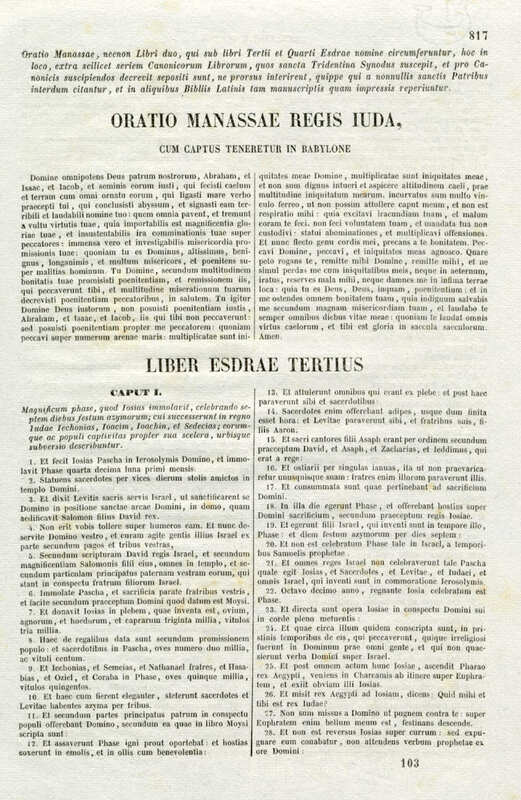 It has been used to refer to the original Greek Esdras 1 (recognised as canonical by Eastern Orthodoxy and the Ethiopian Orthodox Tewahedo Church). It has also been used to refer to the first book of the Ezra-Nehemiah books of the bible, which is recorded as simply the Book of Ezra in modern bibles (but was sometimes recorded as Esdras 1 and the book of Nehemiah as Esdras 2). There are also two Greek books, Esdras 3 and Esdras 4, which are universally recognised as apocryphical, but which have circulated in some lists of biblical books confusingly named as Esdras 1 and Esdras 2).